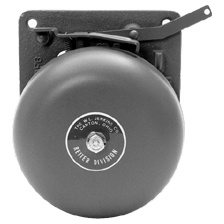 WL Jenkins Company has been the leader in manufacturing bells and warning devices since 1918. 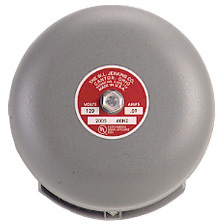 Known for its unique bell tone and "Jenkins grey" color, WL Jenkins Co. is your source for reliable warning devices. The sound of a bell has always commanded immediate attention. It is an urgent, important, distinctive sound, not likely to be misinterpreted as other signaling devices may be in certain environments. The W.L. 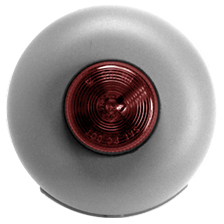 Jenkins Company has combined the unmistakable audio impact of a bell with the added visual impact of flashing light. The W.L. Jenkins Company has been a leader in the design, manufacturing, and marketing of electric bells for more than 50 years. W.L. Jenkins’ industry leadership stems from unique gong shell design, customized material specifications, and manufacturing heat-treating process, resulting in a sharp, clear resonating bell tone with a high decibel output. The W.L. Jenkins Company has been manufacturing mechanical bells for over 50 years. These mechanical bells are made of heavy duty cast iron construction of operating parts and a gong shell manufactured to the Jenkins heat-treated bell steel specifications. The Jenkins line of mechanical bells consists of single and double trip action models, various foot operated and rotary models.